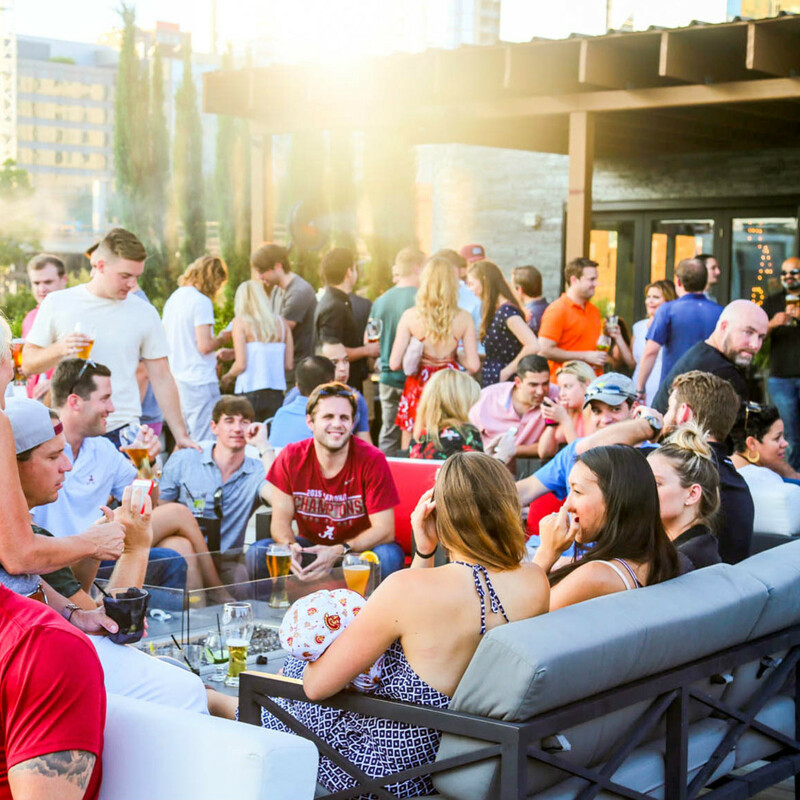 If there's one thing Dallasites love, it's a patio. 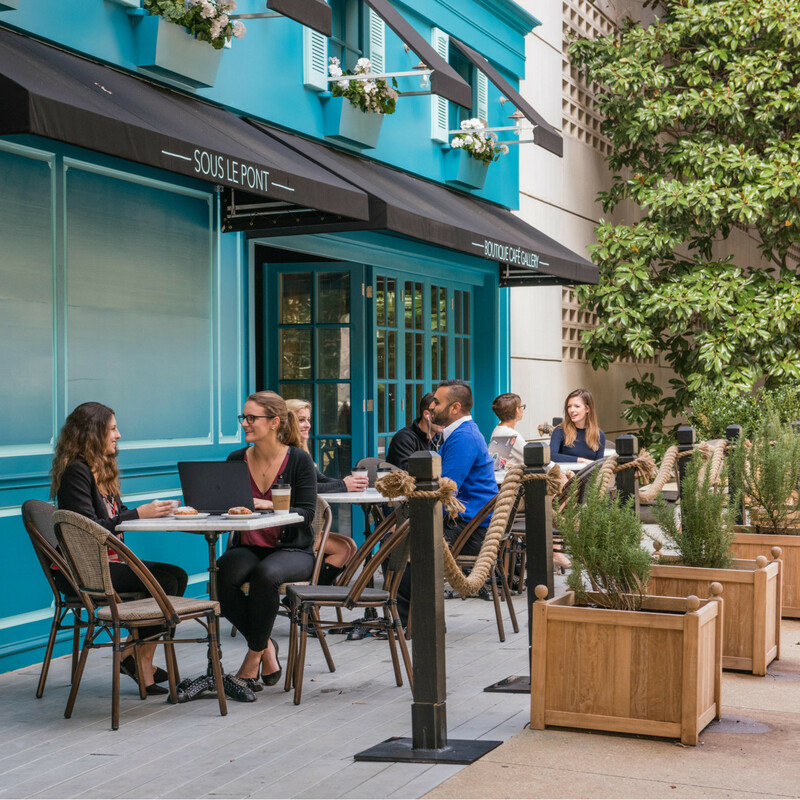 That insatiable desire to sit outside can be fulfilled in the HARWOOD District, where the patios are as unique as each restaurant and its cuisine. The buzz for Happiest Hour is stronger than ever, with it snagging a nomination for best bar in the 2017 CultureMap Tastemaker Awards. 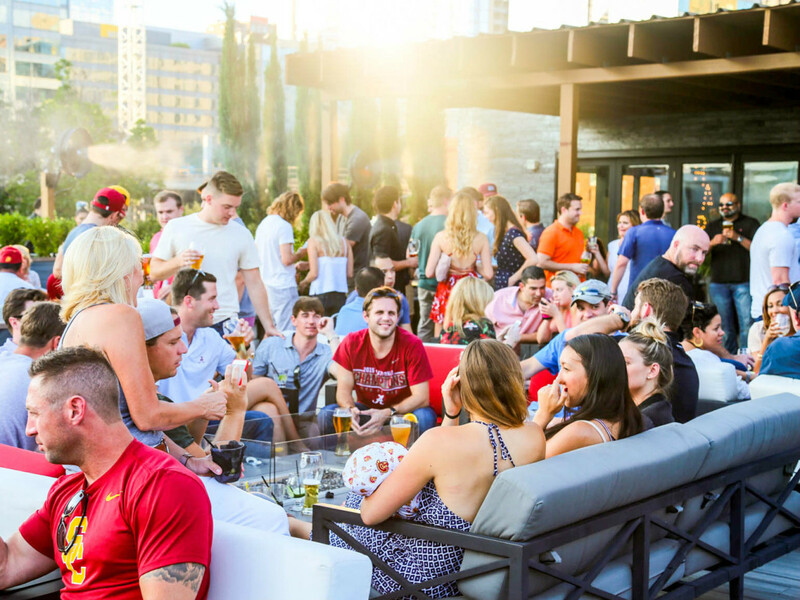 The hot spot made headlines when it opened in 2015, mainly for its two-deck, indoor-outdoor, 12,000-square-foot patio and the killer downtown views from the rooftop. 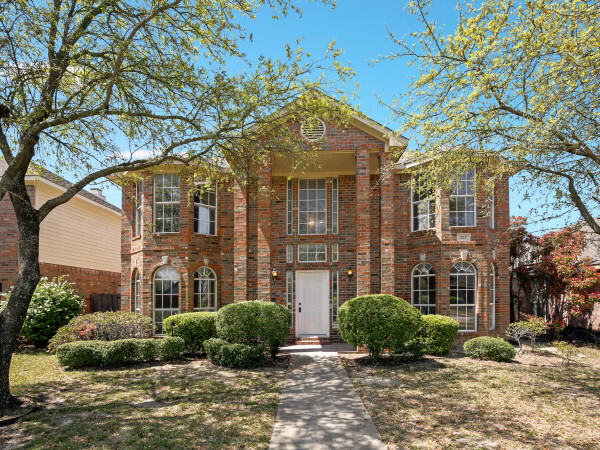 The lower deck has gigantic ceiling fans to keep the breezes constant, and garage doors that can roll up to open the indoor dining space to the patio. To ensure that you never have to wait long for Frozé or a pint, there are four bars total, including the tiniest bar in HARWOOD, measuring only 295 square feet. 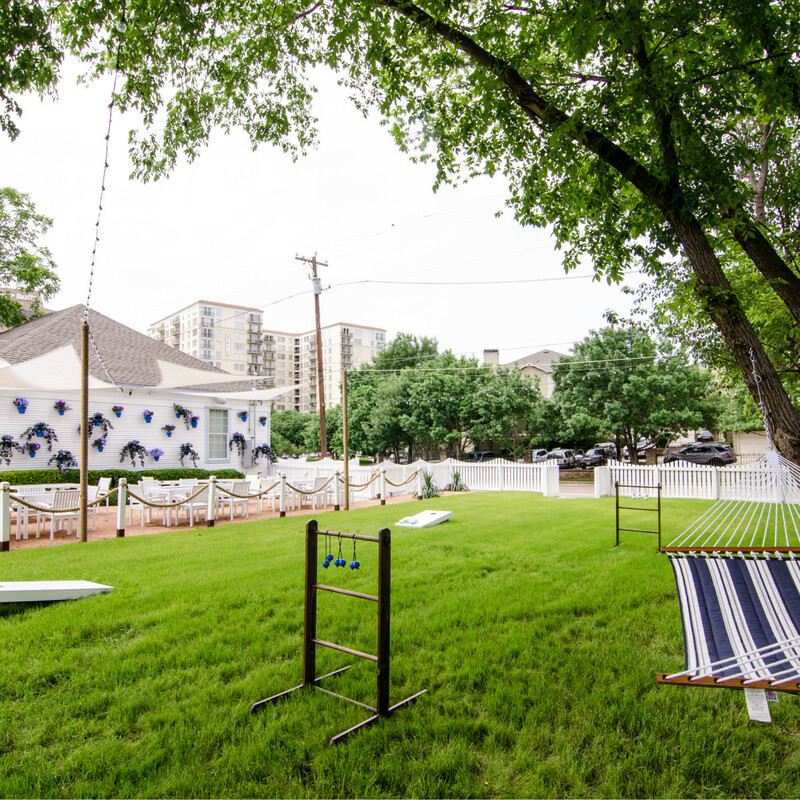 It sits on the lawn and serves the crowds that gather to play garden games, along with the influx of concert-goers or sports fans headed to or coming from the nearby American Airlines Center. 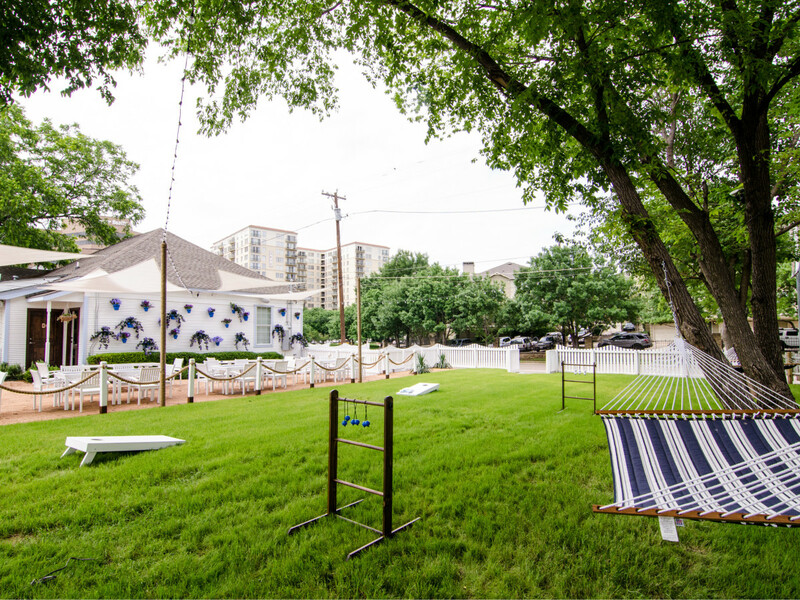 If lawn games are really your thing, then The Grove at Harwood is your go-to hangout. 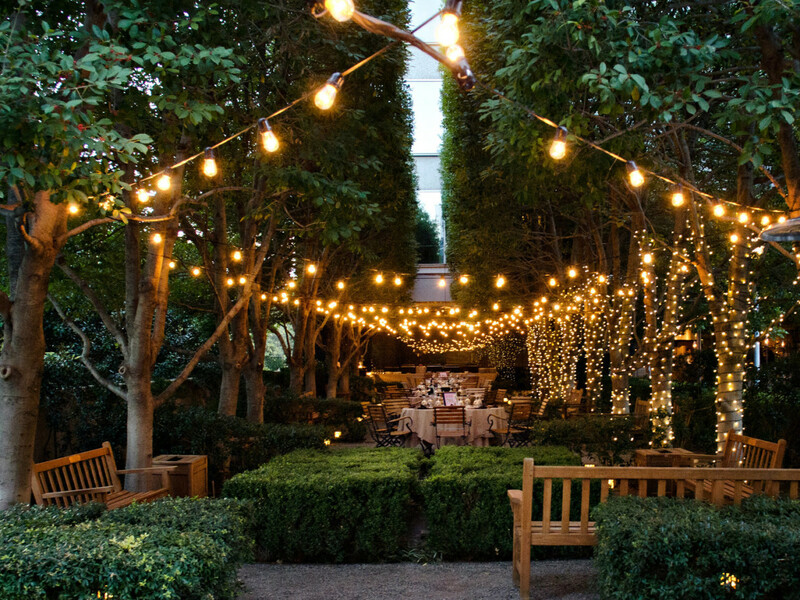 This "ultimate urban backyard" is all outdoors with picnic tables, hammocks, and plenty of lawn space for BYOB (bring your own blanket). The onsite taco truck takes care of any rumbling tummies, while the adult snow cones can cool you off in a flash. There are bocce ball and volleyball courts aplenty, and four-legged friends are more than welcome. 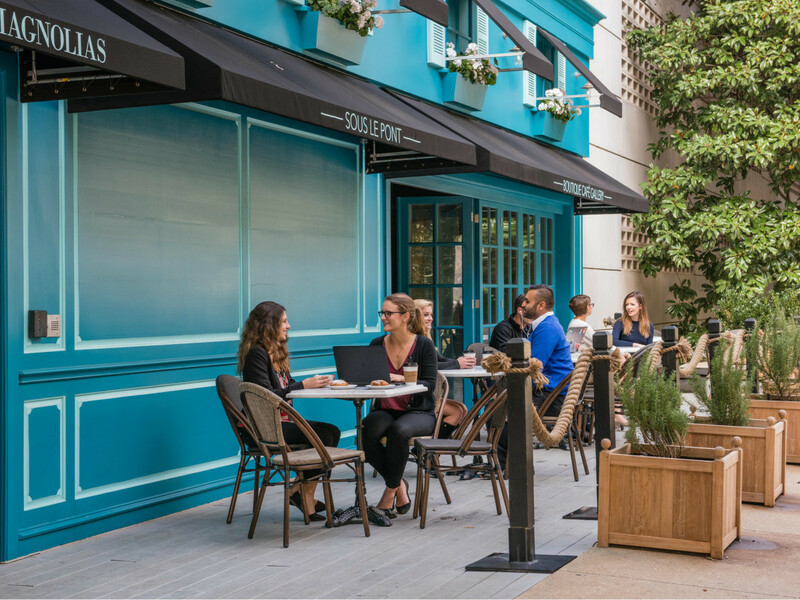 In fact, all of the HARWOOD District patios are dog-friendly, so feel free to bring Fido along when you want to kick back, al fresco style. When you're craving vitamin D but aren't in full activity mode, Magnolias: Sous Le Pont is the ideal compromise. The relaxed coffee shop opens all its doors during nice weather, linking to indoors to the sidewalk cafe seating (where — you guessed it — pups can hang out). Its bright turquoise walls and cascade of blooming flowers were made for Instagram, and create a lovely evening backdrop for the monthly Late Night Open Mic series, held from 5:30-8 pm on the last Thursday of every month. 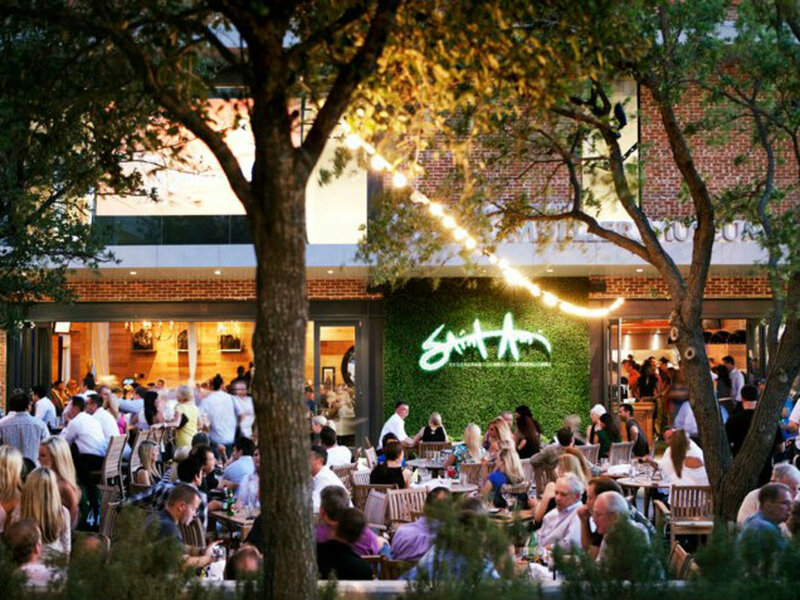 You'll also find live music at Saint Ann Restaurant & Bar, which hosts live music on the patio every Sunday during brunch and on Wednesday and Thursday nights from 7-10 pm. 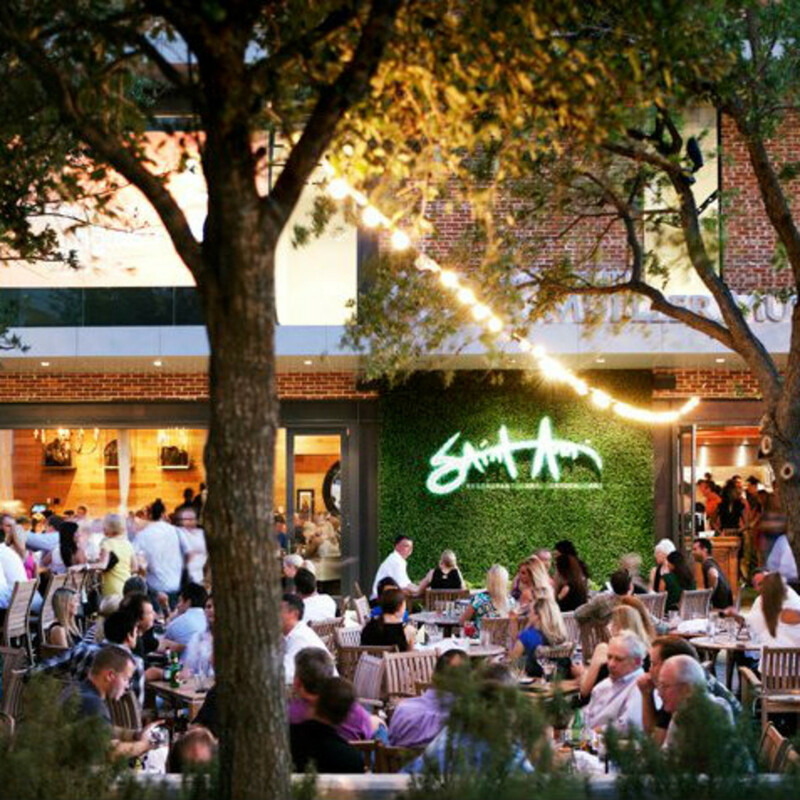 Saint Ann has long been considered one of the prettiest patios in Dallas, and its recent upgrades have only further cemented its status. 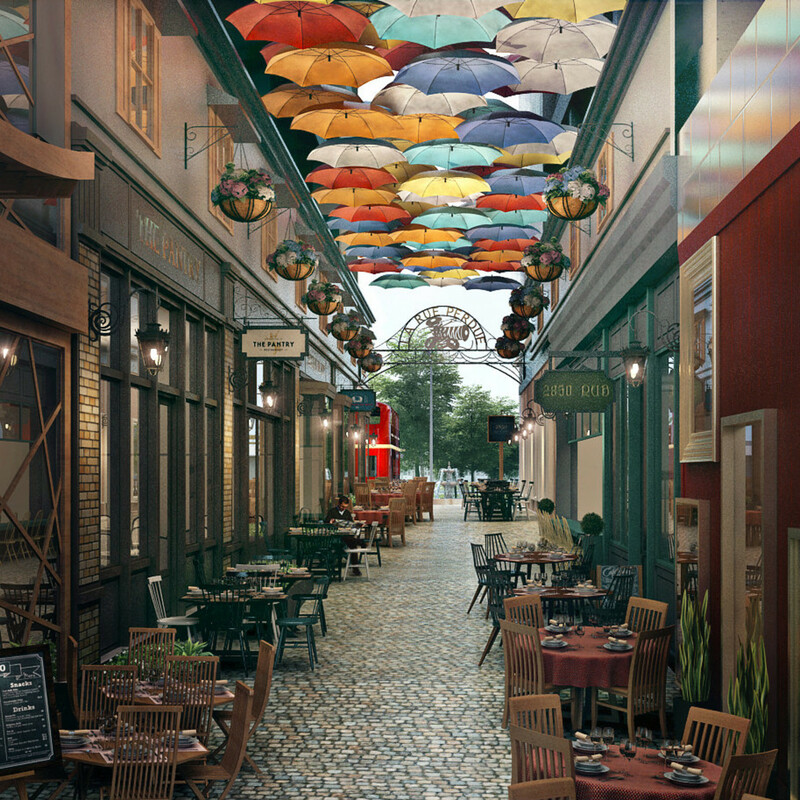 A retractable roof makes the patio climate-controlled, meaning that diners can now enjoy the garden views no matter the weather. The building itself has been standing for 90 years, with the Our Lady of Guadalupe mural commemorating its history as the city's first school for Hispanic children. 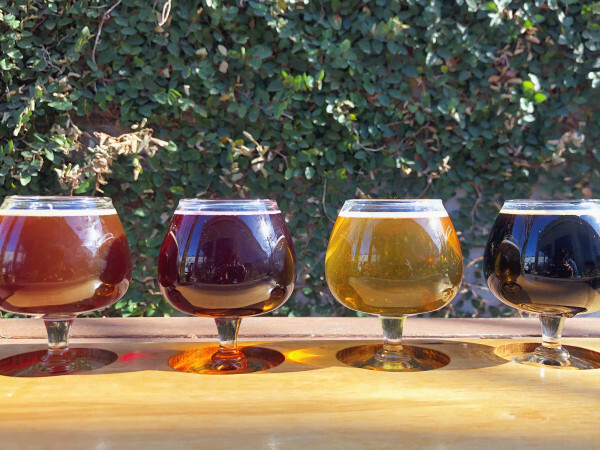 But Saint Ann is firmly in the now, having just introduced a new menu and rolling out an array of wine flights. 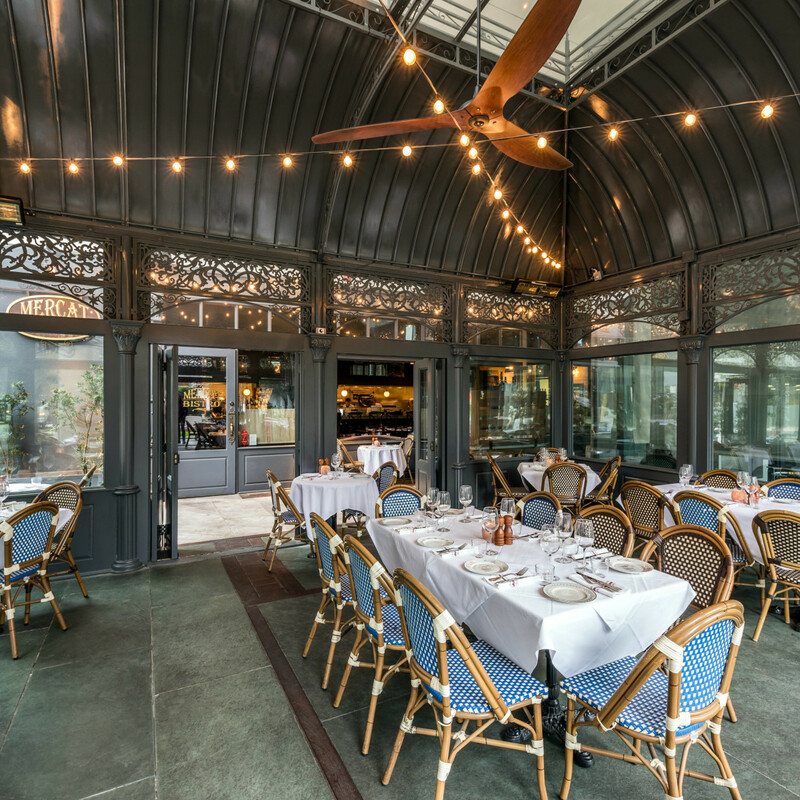 Mercat Bistro is also enjoying its new patio, dubbed the Rococo Pavilion. 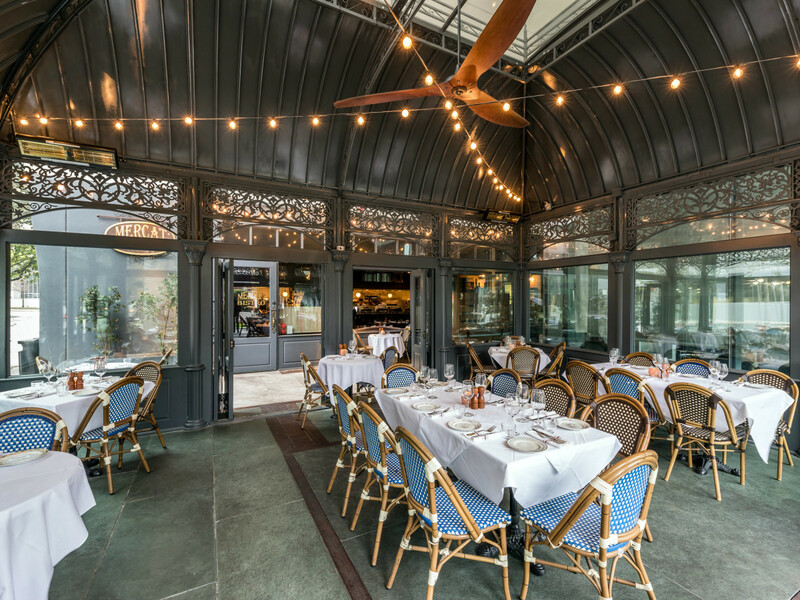 The Baroque-style seating area matches the restaurant's quaint European vibe, and provides shade while remaining open-air on all sides. Sip a glass of wine at twilight or during a light rain, and it's easy to imagine you're people-watching in Paris. 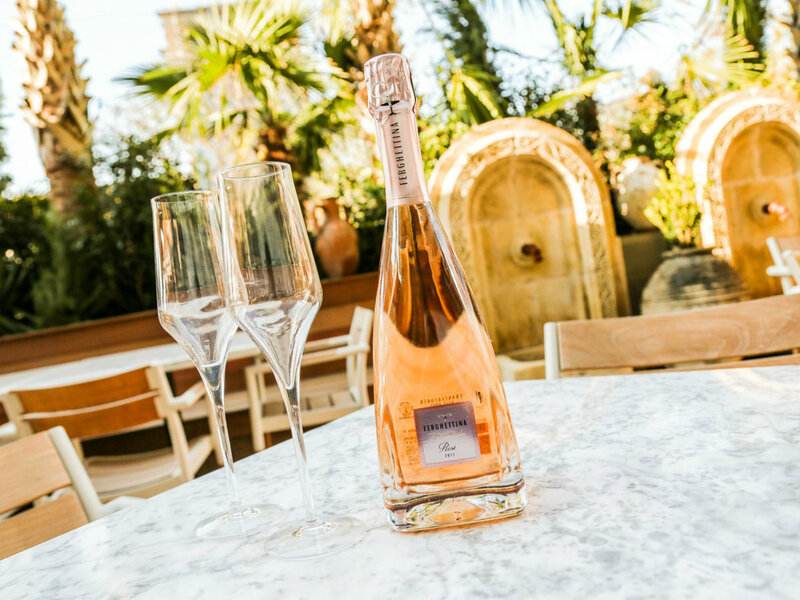 The patio at Dolce Riviera also has a European flair, thanks to the impressively large, 18th-century Venetian terra cotta pots that dot the landscape. Walls of leafy palm trees shield you from the real world outside, while bubbling fountains delicately drown out the sounds of the city. 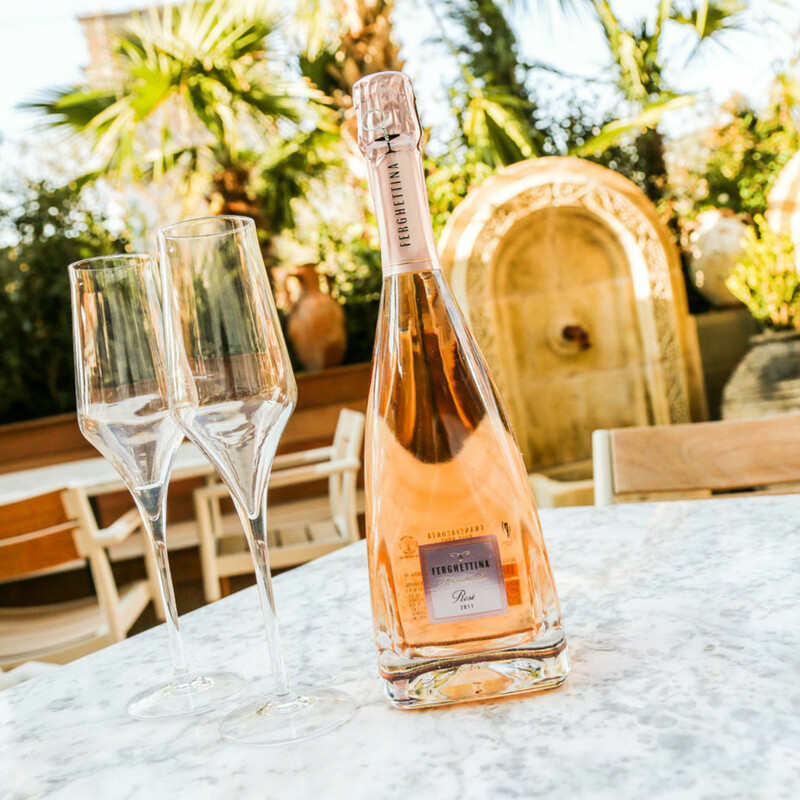 In nice weather, the dining room's glass walls are opened and the glamorous bar offers outdoor seating. 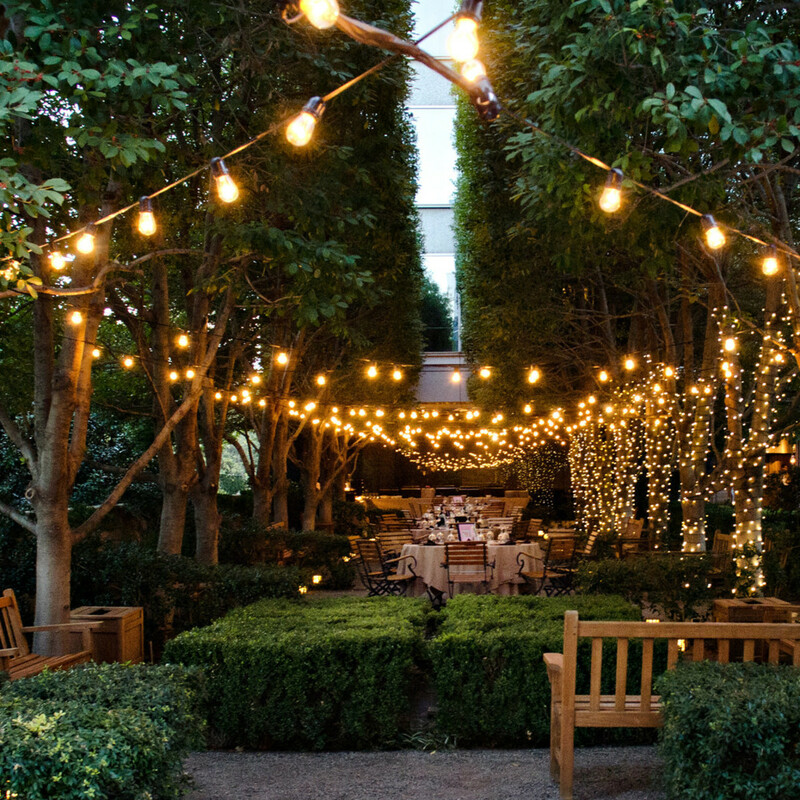 And perhaps the area's largest patio is Marie Gabrielle Restaurant and Gardens, with its 1.5 acres and 8,265-square-foot pond. The popular event space is open to the public when it's not hosting a party (such as the recent opening night bash for Savor Dallas), so claim it as your secret escape from everyday life. There are plenty of private nooks for quiet reflection, or let the epic soundtrack that plays gently in the background inspire a victory with the larger-than-life chess set. Its two restaurants — one grab-and-go, one elegantly sit-down — are open for breakfast and lunch too. And don't forget about the DJ Brunch Series: the beats-and-bubbly event rotates through participating HARWOOD District restaurant patios from noon-3 pm every Saturday through July. With Harwood No. 10 on the horizon comes La Rue Perdue, a pedestrian passageway that connects to the neighboring building. 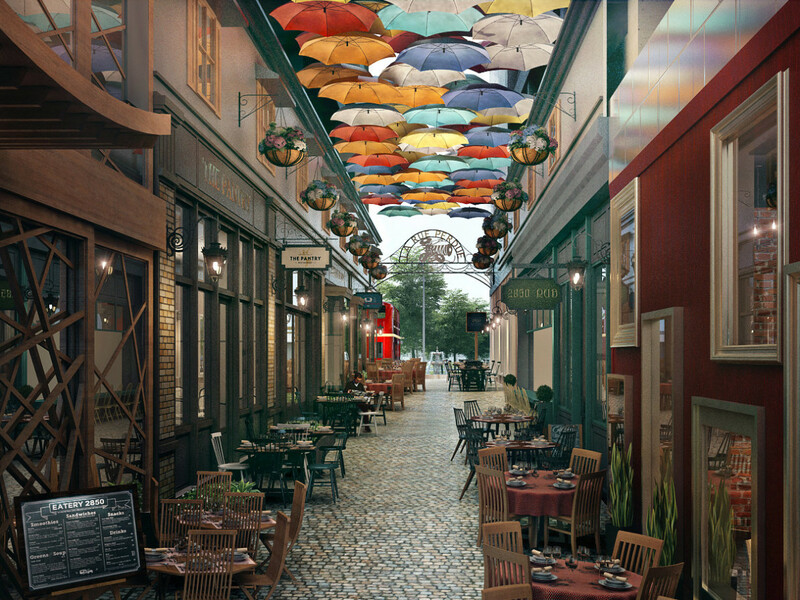 The charming side street of shops and restaurants will include one more important addition: more patios.